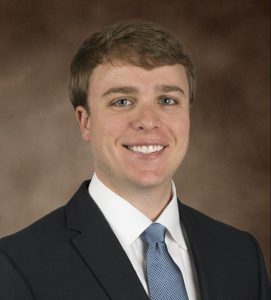 Ransom Pipes joined the Maestri-Murrell brokerage team in 2013 as a Sales and Leasing Executive. Ransom received a Bachelor Degree in Construction Management from the Louisiana State University College of Engineering with a minor in Business Administration. Ransom has handled both tenant and landlord representation involving retail, office, and industrial properties. Additionally, he has worked with clients in the acquisition of retail, office, vacant land, and investment properties throughout Louisiana. As a Licensed Real Estate Agent in Louisiana, Mr. Pipes looks forward to providing clients with the market information and professional resources necessary for each unique transaction. As a native of Baton Rouge, he is a passionate sportsman and current committee member for both, the Coastal Conservation Association (CCA) and Delta Waterfowl. Ransom is a member of the Baton Rouge Board of Realtors Commercial Investment Division (CID), LACDB, ICSC, and Baton Rouge TRENDS Steering Committee. Additionally, he has been the recipient of the 2014 Steward Estopinal CCIM Scholarship and 2016 CID/CCIM Gary Louis Scholarship.